U.S. 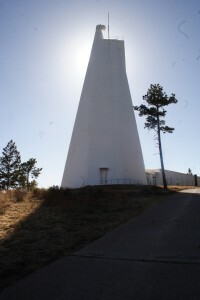 Senators Tom Udall and Martin Heinrich and U.S. Representative Steve Pearce announced that New Mexico State University (NMSU) will receive $1.2 million from the National Science Foundation (NSF) to upgrade the Richard B. Dunn Solar Telescope in Sunspot, N.M. 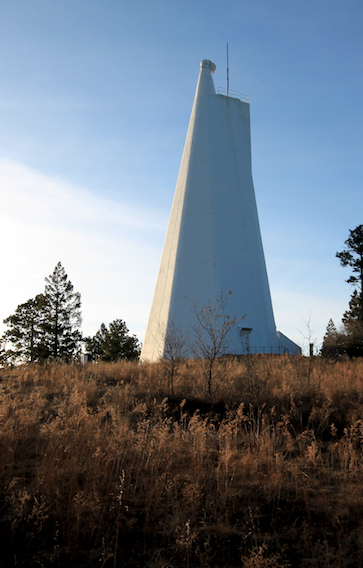 The NSF award – appropriately announced on the fall equinox – will support efforts to transition the operation of the research facility from the National Solar Observatory (NSO) to a university-based consortium led by NMSU. This entry was posted in Award, Proposal news, Science Highlight and tagged solar physics, Space weather, telescopes. Bookmark the permalink. Follow any comments here with the RSS feed for this post. Both comments and trackbacks are currently closed.